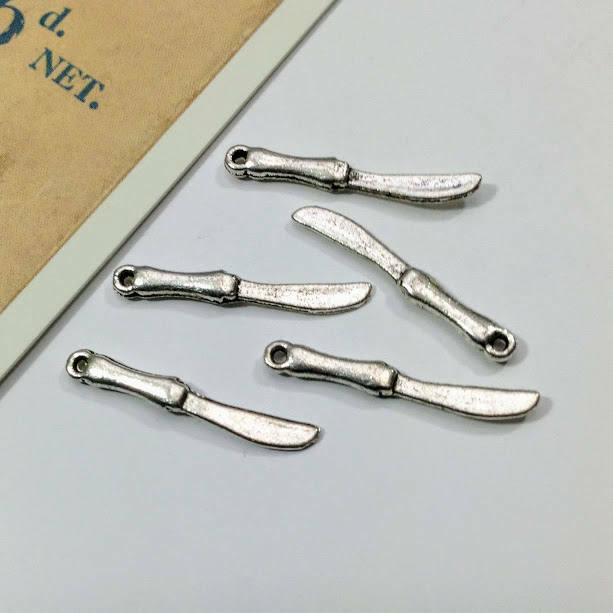 10 silver tone metal little knife charms. 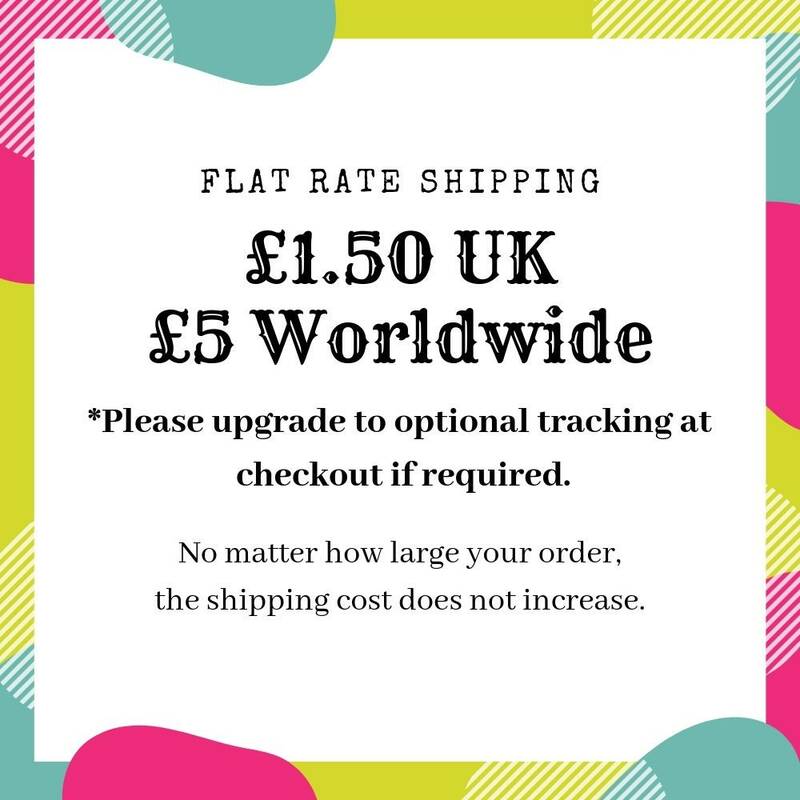 Ideal for using on any tea party, wonderland, tea time themed projects. These are made from a metal alloy. 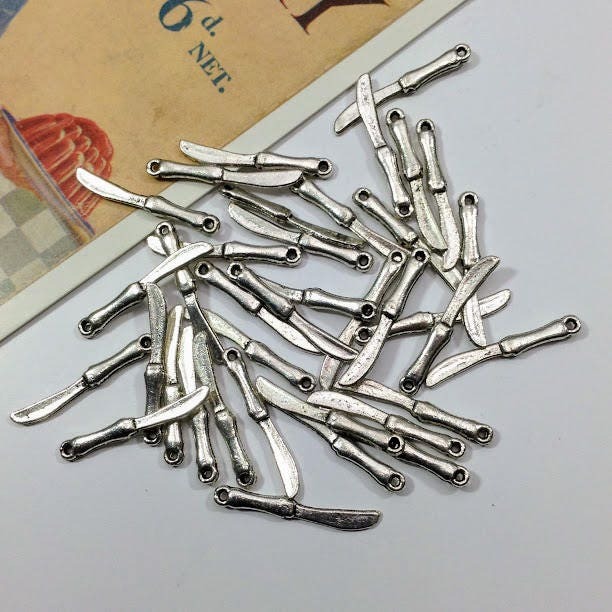 10 charms per lot with a discount for small bulk lot of 25 knife charms.